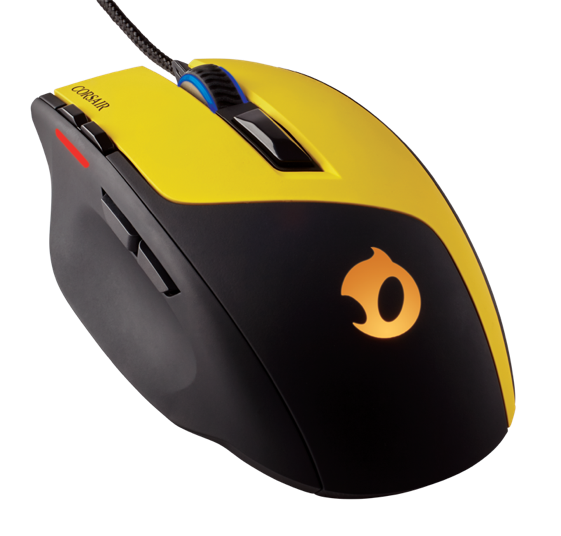 FREMONT, CA — August 26, 2015 — Corsair today announced the first gaming products designed in collaboration with eSports Team Dignitas: the Corsair Gaming Sabre Laser RGB gaming mouse and MM300 Anti-Fray Mouse Mat, Team Dignitas Edition. The two joined forces to combine Team Dignitas’ competitive gaming experience with Corsair’s expertise in developing precision PC peripherals to outfit gamers with products that deliver the competitive edge. Since announcing their partnership in January 2015, Team Dignitas exclusively uses Corsair Gaming PC peripherals in practice and tournaments worldwide. 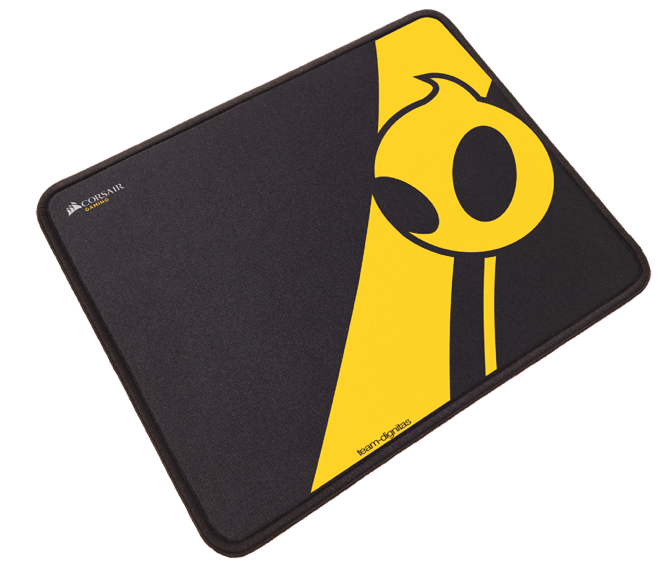 The new MM300 Anti-Fray Mouse Mat, Team Dignitas Edition is a high-endurance, pro-grade cloth mouse mat designed for high-DPI gaming mice. Its reinforced stitched edges guard against surface peeling, and its textile-weaved surface makes for optimal control and precision tracking in the heat of competition. Team Dignitas and Corsair will be showing the new products at PAX Prime from August 28-31. Fans can meet members of Team Dignitas at the Corsair booth #3342 from 12pm-2 pm. A complete set of product images may be downloaded from: https://corsair.sharefile.com/d-s962dd337d2d40d08. Team Dignitas, formed in 2003, is one of the world’s leading eSports organizations, maintaining high standards for each gaming team with the help of supporters and sponsors. After gaining recognition in the competitive Battlefield 1942 scene, Team Dignitas now has professional teams playing League of Legends, Counter Strike: Global Offensive, Hearthstone, StarCraft II, and more. Copyright © 2015 Corsair Components, Inc. All rights reserved. Corsair and the sails logo are registered trademarks of Corsair in the United States and/or other countries. NVIDIA and GeForce are registered trademarks of NVIDIA Corporation. All other company and/or product names may be trade names, trademarks, and/or registered trademarks of the respective owners with which they are associated. Features, pricing, availability, and specifications are subject to change without notice.